Welcome to the web site of children's author and illustrator Brenda Z. Guiberson. Brenda has been writing and illustrating children's books for over 20 years. 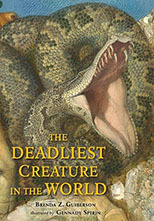 Though she did not imagine becoming an author as a child, she did relish the idea of studying animals and exploring remote jungles. Her fascination with science as a student now shines through as young readers explore everything from chattering rainforests to the inside of a cactus to the solitude of a lighthouse. Brenda's books combine the beauty of language and art with valuable lessons important to our connection not only with each other but the world around us. Enjoy exploring the worlds Brenda has created. 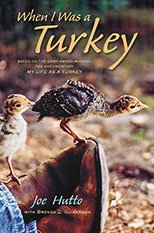 Follow the links to learn more about the author, her published works and fun ways her books can be brought to life in the classroom. Mostly outdoors, along the Columbia River in eastern Washington, swimming or looking for artifacts, rocks and birds. The idea came from reading stacks and stacks of books to my son. The details came from a trip into the wetlands of Louisiana where we saw alligators, spoonbills and a beautiful sunset. I write for the child in me, the one who thrives on adventure and surprises, on learning new things, on understanding and being understood. I am just glad that there is a wonderful variety of books about so many things. I am working my way through reading them. As a child, I loved the Secret Garden by Francis Hodgson Burnett . It was spellbinding and mysterious, hopeful and full of change, part science and part fairy tale. Getting together with friends and family, hiking, kayaking, watching birds, bugs and the weather. 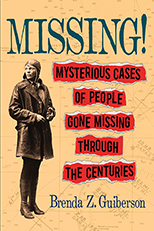 In Missing!, a photo-illustrated middle-grade nonfiction book, Brenda Guiberson explores the stories of six individuals who have disappeared mysteriously throughout history. 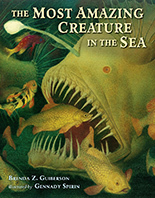 Which sea creature is the greatest? Is it the one with the most venom, the greatest diver, the one with blue blood, or the best rotating eyes? Or is it the master of disguise, the one with the best light, the most slime, or the most eggs? Moon bears in the wild wander, dig, nibble and climb. 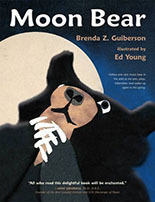 Join this wandering, clever, hungry moon bear during a year of survival in the Himalayan Mountains. 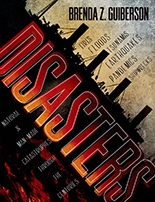 In this collection of ten well-known catastrophes such as the great Chicago fire, the sinking of the Titanic, and Hurricane Katrina, Brenda Guiberson explores the causes and effects, as well as the local and global reverberations of these calamitous events. 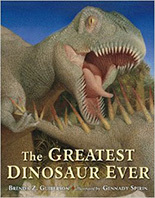 Which dinosaur was the greatest? Was it the tallest, the biggest, the strongest, the smartest, the weirdest, the fastest, or the smallest? .. 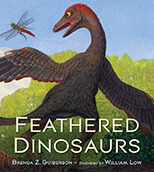 Fascinating facts and spectacular illustrations will inspire young readers to choose their own favorite dinosaurs!